Trevor B.: It doesn’t make sense financially to stay here once our kids are out of the public school system. 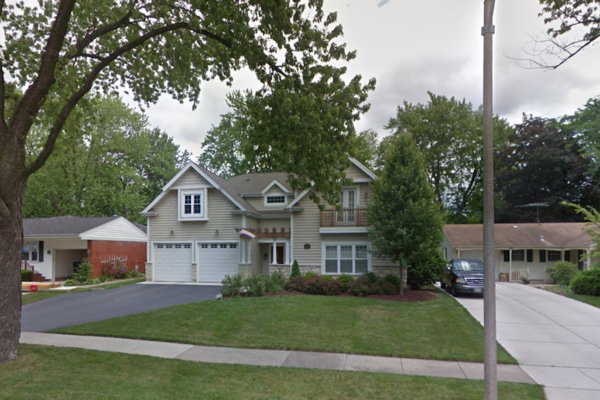 Trevor B. owns a 3,300 square foot, 5-bedroom, 4-bathroom Arlington Heights home that is currently assessed at $636,720. Trevor took possession of the home in 2004 when it was worth around $299,000, or $399,108 in today’s dollars. He has paid $124,380 in property taxes since 2004, more than 41 percent of the original value of his home. Trevor is currently paying $17,389 per year in property taxes on his home, about 2.7 percent of the Cook County Assessor claimed value of $636,720. If Trevor lived in Indiana the most he could be charged in property taxes would be $6,367 per year or $11,022 less than what he currently pays in Illinois.